It goes without saying that we still need to do a lot of work on making Lokalise the best platform for localizing digital products in the world, and to do that, we need your help, our beloved customers. We've added a new page - http://vote.lokalise.co/. It was specifically implemented to allow our users to share their feature requests as much easier as possible, and for us to prioritize on which feature to work next. 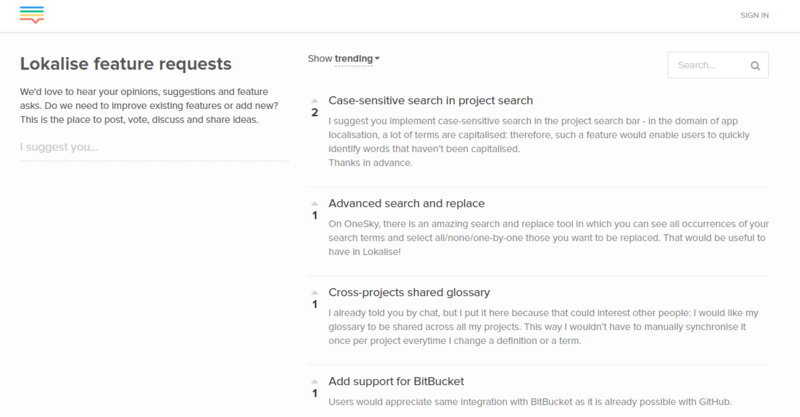 Feel free to propose a new feature, or vote for already created feature-requests.